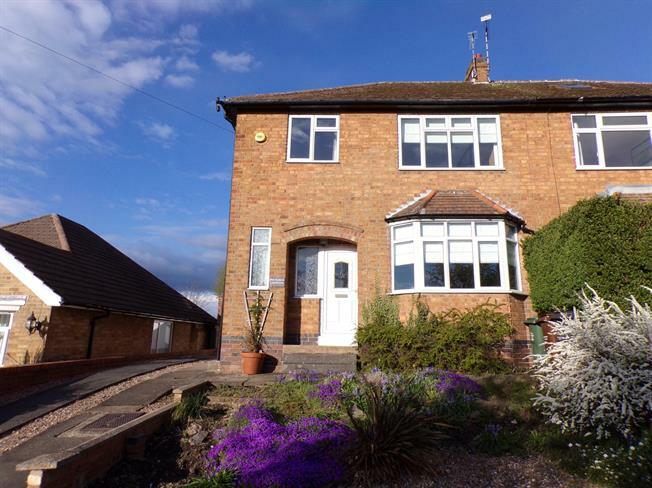 3 Bedroom Semi Detached House For Sale in Leicester for Guide Price £280,000. An exceptionally well presented and spacious three bedroom semi detached property which has accommodation comprising entrance hall, lounge, dining room, modern fitted kitchen, ground floor WC and conservatory which looks over the attractive landscaped lawned garden with countryside views beyond. On the first floor are three bedrooms and family bathroom. There are pleasant views from the landing with Beacon Hill in the distance. Outside the property benefits from ample off road parking to the front and side which leads to the detached garage. To the rear of the property is an attractive landscaped lawned garden with fenced boundaries and gated side access. Beyond the rear garden are picturesque countryside views with the Great Central Railway in the distance. This fantastic property is being offered for sale in excellent decorative order throughout. This charming house would make the perfect family home and should be viewed at the earliest opportunity to avoid disappointment.